Chapters three and four of the book of Numbers cover the responsibilities of the Levites for packing up and transporting the Tabernacle and its furnishings when traveling. 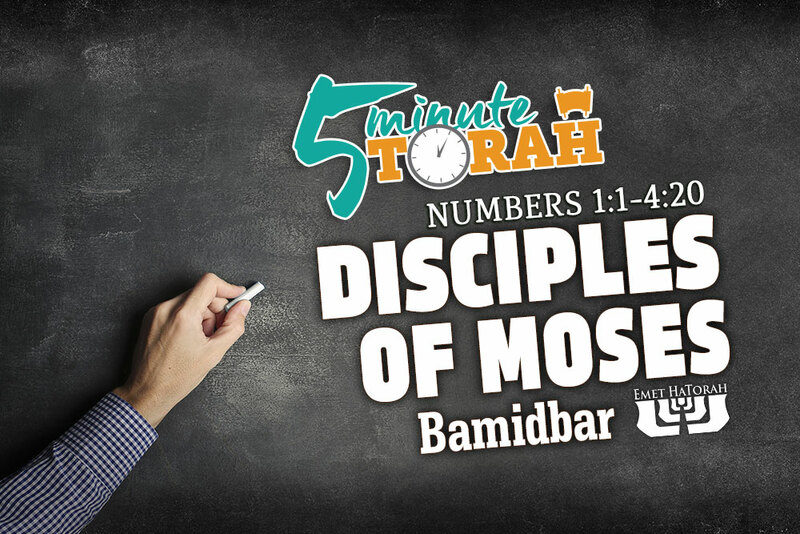 However, the Torah introduces this topic in a unique manner. It begins by saying, “These are the generations of Aaron and Moses.” In the original Hebrew, the word for generations is toldot. As we have discussed previously, the primary meaning of the word toldot is offspring. But if this is the case, why does the Torah only discuss the sons of Aaron and is completely silent regarding the offspring of Moses? Rashi, referencing the Talmud’s interpretation of this passage (b.Sanhedrin 19b), has a beautiful answer to this troubling question. He says that it is because Hashem considers the sons of Aaron to also be the sons of Moses, because he has taught them Torah. Because the sons of Aaron were, in a way, disciples of Moses, he became a type of spiritual father to them. This Scriptural principle is extended to say that whoever teaches Torah to the son of his friend is considered as if he had fathered him. And sometimes one’s teacher may even take precedent over one’s physical father, because a person’s physical father “brought him into this world,” but his teacher, “who taught him the wisdom of Torah, brings him to life in the World-to-Come” (b.Bava Metzia 33a). There are many adults in this world who have never and will never be able to raise physical children of their own. This chronic situation can be devastating. It can lead to bitterness, depression, and a complete lack of purpose to life. The late Chabad Rebbe, Menachem Mendel Schneerson, of righteous memory, and his wife, Chaya Mushka, were never able to bear children. Although hundreds, if not thousands, of people prayed for them to be able to bear natural offspring of their own, the vision was never fulfilled physically. However, the Rebbe is to this day one of the most influential Jewish figures in history. And although he had no physical children of his own, many thousands of people across the world would quickly identify him as their spiritual parent. His life and teachings have affected millions of people around the world for almost three quarters of a century. His state of barrenness did not limit his ability to invest into disciples and give birth to more children than he could have ever been able to physically. Yeshua of Nazareth is an even more extreme example. Although he had no physical children of his own (unless you believe the conspiracy theories of the likes of Dan Brown and others), he has given life to literally billions of children over the last two thousand years. His spiritual family will continually grow in numbers, because he calls us to continue to produce spiritual offspring for him. Neither the Rebbe, nor Yeshua, had the limiting belief that they could not bear children. They simply had a different perspective that we would do well to imitate. Although our physical children should be our first and primary responsibility to disciple and teach to the Scriptures, we should keep in mind that we also have the opportunity to be spiritual parents to others. Because we are called to raise up disciples, teaching them all that Yeshua has taught us, we have the opportunity to create spiritual offspring thousands of times larger than what we are able to simply through our physical offspring. If you feel that your child-rearing days are over, or if you have not had the privilege to raise children of your own, you still have an opportunity to turn a barren womb into a fertile environment for birthing spiritual offspring, as it says, “He gives the barren woman a home, making her the joyous mother of children” (Psalm 113:9).